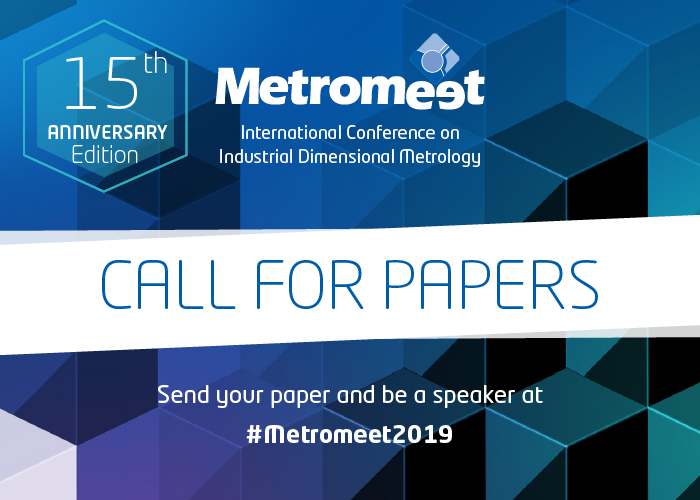 Metromeet, the International Conference on Industrial Metrology, recently announced the official dates for it’s 15th anniversary edition. During april 10th, 11th and 12th, Metromeet will be held at the Euskalduna Palace of Bilbao. The International Conference on Industrial Metrology with the most international following is about to celebrate its 15th edition. The Call for papers will remain open until October 17th – 2018. Both the instructions of the call and the proposed topics are available on the new Metromeet website. The open call for papers gives the opportunity to different professionals in the sector to position themselves as leading players towards Industry 4.0, as experts in their sector and also offers them the perfect environment to meet, negotiate and discover the most cutting edge and innovative technologies. In addition to being a unique event, it allows expanding the business network and establishing relationships with potential clients, from the privileged position of being recognized as an expert in a specific area or specialty within dimensional industrial metrology. The International Technical Committee of Metromeet will assess especially those presentations on real experiences, methods and technologies of innovative applications applicable in the real industry. The presence and active participation of our sponsors: Innovalia, Zeiss, Creaform, Faro and Renishaw allows the Conference to create a unique technological environment in which to know the latest market solutions. From the organization of Metromeet, the professionals of the sector are encouraged to be part of the Conference by making available an online portal where they can make their request. The Metromeet organization will accept applications received before October 17.